After changing its name to Riot Blockchain in October to include the word “blockchain,” the public company watched its stock skyrocket from $8 a share to more than $38 during a cryptocurrency rally at the beginning of the year. The first significant problem was the company did not have any real focus on blockchain technology. Before October, Riot was known as Bioptix, a maker of diagnostic machinery for the biotech industry. The company also changed its ticker symbol to RIOT from BIOP. Another problem was that key shareholder Barry Honig got caught with his hand in the cookie jar, selling off a big stake of his shares at $38 per share after the name change. On February 22, 2018, law firm Robbins Geller Rudman & Dowd LLP announced it was filing a class-action lawsuit against Riot. The complaint charges Riot, along with Honig and company CEO John O’Rourke and CFO Jeffrey McGonegal, with securities violations. Specifically, the charges claim that despite its lack of blockchain expertise, Riot changed its name to generate investor enthusiasm to further an insider scheme that would allow Riot’s controlling shareholders to dump their stocks at grossly inflated prices. At least two other lawsuits have been filed against Riot and its principals, charging them with securities violations and false and misleading statements. These lawsuits follow a scathing investigation into Riot by CNBC on February 16, 2018, that raised questions about the company’s business model and Honig. In the wake of that report, shares tumbled 33 percent to $11.46. It is likely these class-action lawsuits may be the first of many to come against Riot. On October 4, 2017, Riot adopted its new name and headed off in a radical new business direction, announcing it was going to invest in and operate blockchain technologies with a focus on Bitcoin and Ethereum. The company had no previous business in blockchain technology, yet in press releases, Riot portrayed itself as a seasoned player in the space. “At Riot Blockchain, our team has the insight and network to effectively grow and develop blockchain assets,” said Riot’s then-CEO, Michael Beeghley, in a statement at the time. The company has a history of questionable activities. In December, Riot began purchasing cryptocurrency mining equipment. But rather than purchasing from the manufacturer or other suppliers, the company paid more than $11 million for equipment worth only $2 million by purchasing it through a newly formed shell entity. Honig is also charged with exercising outside influence over the company’s business operations. Beginning in April 2016, long before the company changed its name to Riot, Honig began purchasing shares in the company. By December 2016, he had become the company’s largest shareholder, owning more than 11 percent of the company. He used that influence to nominate several new directors to the board, including O’Rourke. In addition to insider selling after the name change, other worrying signs about the company included: Riot lost two auditing firms in just one year, and two annual stockholder meetings were postponed at the last minute. Also, some of Riot’s business deals involved investors who had worked on similar deals together in the past, raising questions about the company’s governance. Riot is not the only company to have jumped onboard the rename-your-company “blockchain” bandwagon. Several other companies have also rewritten their names to cash in on the blockchain and cryptocurrency craze. In December, the Long Island Iced Tea Corporation, a New York–based company that makes iced tea, rebranded itself as “Long Blockchain.” Its company shares rose 300 percent as a result. In January, legacy photography company Kodak announced the launch of KODAKCoin, a “photo-centric” cryptocurrency for photographers, and its stock went up 80 percent within hours. 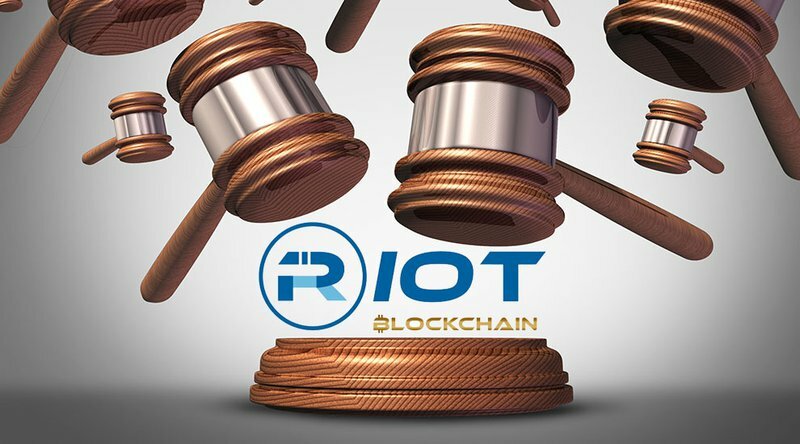 Lawsuits like the ones now piling up against Riot stand as a reminder that a name change is not enough — a company needs real blockchain experience and technology and a solid business plan behind it before adding “blockchain” to its name.